A highly efficient precision metal fabrication process directly translates into time and cost benefits for you. Which means we, as manufacturer, constantly need to push the boundaries of our production process. To accelerate your lead time, we became the first in Europe to use a Laser Direct Imager in precision metal parts manufacturing. What does that mean for you? A good beginning makes a good ending. Electroformed metal parts depend on the creation of a perfect mold at the beginning of the process. So what if the first steps of the process can be done faster, cheaper and more precise? Photolithography is the technical term for applying a geometric pattern to a sensitive resist on a substrate by the means of light. Usually, this is done by placing a mask on a photoresist layer and exposing light to the entire mask. The Laser Direct Imager is capable of projecting high resolution images directly from a CAD file. In other words, photomasks have become redundant with the Laser Direct Imager, significantly reducing costs and lead time. 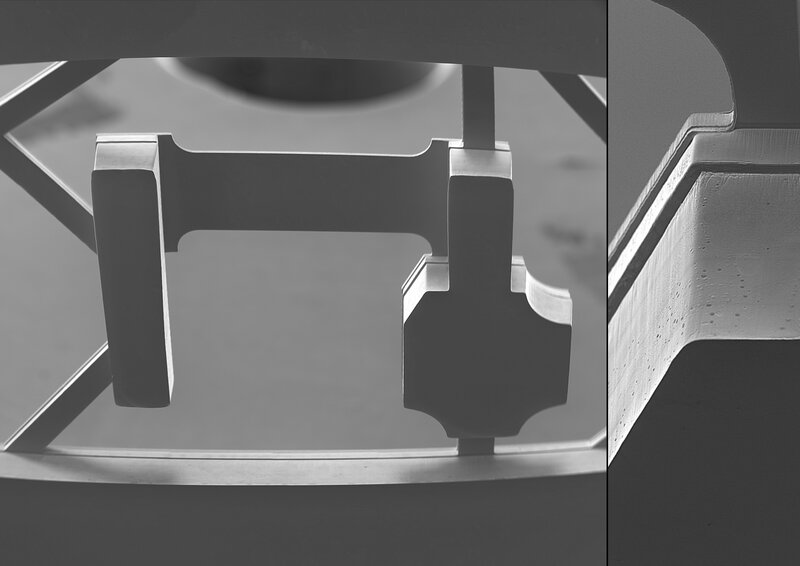 An electroformed metal part made with the Laser Direct Imager. Higher resolutions possible (between 25.400 and 63.500 dpi). This is better than film quality and can replace glass masks. In case of multi-layer electroforming, the second layer needs to be perfectly aligned. Doing this manually is inaccurate and time consuming. While the Laser Direct Imager aligns automatically. Elimination of the production of masks simply means lower costs, faster process, and higher precision and flexibility. All that Laser Direct Imager needs is a CAD file. All these benefits add up to what becomes a process that is fully optimized for the creation of high precision metal. The LDI is our answer to your need to reduce your lead time!